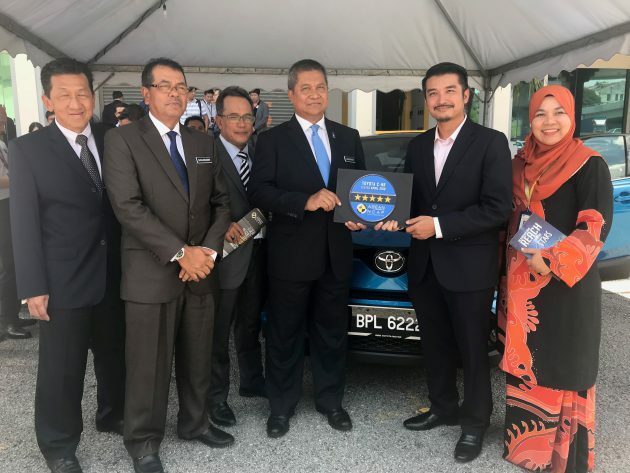 UMW Toyota Motor is delighted to announce that its newly launched All New Toyota C-HR was awarded with 5-star ratings at the recent New Car Assessment Program for Southeast Asian Countries (ASEAN NCAP) crash test result announcement. 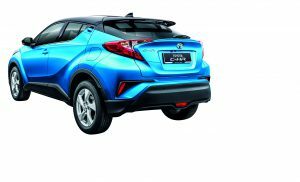 The C-HR which was launched in March in Malaysia, received 49.72 points for the Adult Occupant Protection (AOP), 20.86 points for Child Occupant Protection (COP) and 20.73 point for Safety Assist Technologies (SATs) assessments. With the C-HR scoring in all aspects including effective breaking avoidance, seat belt reminders, blind spot technology and advance safety assist technologies, it received 5-Star rating with an overall score of 91.31 points. 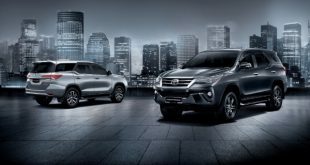 The compact cross over was built under the latest Toyota’s New Global Architecture (TNGA) platform which is now being used by many new Toyota models. With TNGA, vehicle developers have much more flexibility in the three key areas of design, powertrain and dynamics, enabling them to deliver a new and fresh take on the increasingly commoditized crossover segment. 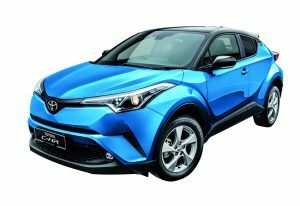 The C-HR was introduced with a single variant, a 1.8-litre petrol engine with 7-speed Sequential Shiftmatic CVT. 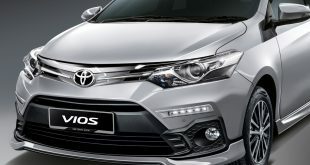 Its safety features include ABS as standard with Vehicle Stability Control (VSC), also fitted with 7 Airbags and Traction Control (TRC) as well as Rear Cross Traffic Alert (RCTA) and a Blind Spot Monitoring system (BSM). 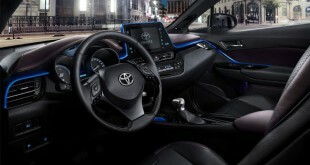 The C-HR is also equipped with an Electric Parking Brake and Hill-start Assist Control (HAC) to prevent the vehicle from rolling backwards while moving on a steep slope. 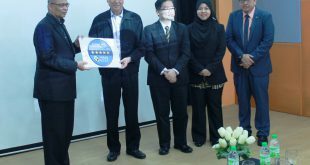 The announcement was held at the Malaysia Institute of Road Safety Research (MIROS) office in conjunction with MIROS’s new Gallery Opening ceremony here in Kajang, Selangor. 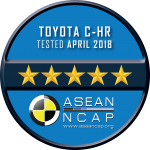 “We’re very pleased to receive the 5-star rating by ASEAN NCAP for the All New C-HR which recognises Toyota’s on-going commitment to improve vehicle safety. 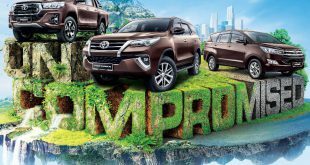 As distributor of Toyota vehicles in Malaysia, it is very important for us to ensure that our vehicles are equipped with the best safety features in order to provide protection for our customers,” said Mr. Ravindran K., President of UMW Toyota Motor.